Posted March 23, 2016 by Andler Dental & filed under Dental Articles. Grocery aisles are stocked full of marshmallow-shaped chicks, pastel-colored creamy eggs, and oh-so-good chocolate bunnies. 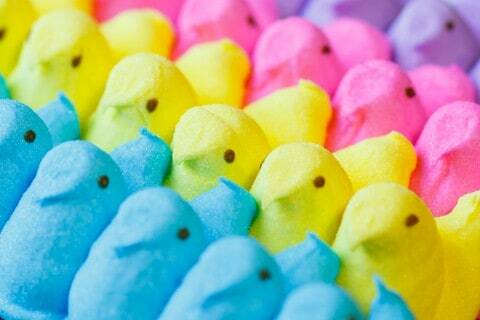 Another Easter season is here, which means another holiday that’s typically flooded with candy. At my Madison dental office, we want to talk about the best, and the worst, candy for your pearly whites. Wash it down with water. Sipping water while eating sugary foods helps neutralize acid produced by bacteria that feed on the sweet stuff. Swishing with water afterwards knocks loose any particles stuck in grooves and crevices. Don’t munch on them all day. This limits the amount of time your teeth are exposed to sugar. The less time sugar spends in your mouth, the less chance for decay and cavities. Don’t brush. Well, not right away. Wait at least a half hour to an hour after eating sweets to give the acid a chance to neutralize. Brushing right away can actually cause more damage. Another way you can keep your pearly whites healthy and cavity free is to maintain regular appointments with your Madison dentist. If you do have any damage, regular visits help catch it early and make it easier to treat. Schedule an appointment at my Madison dental office today! Accepting patients from Madison, Middleton, and Verona.